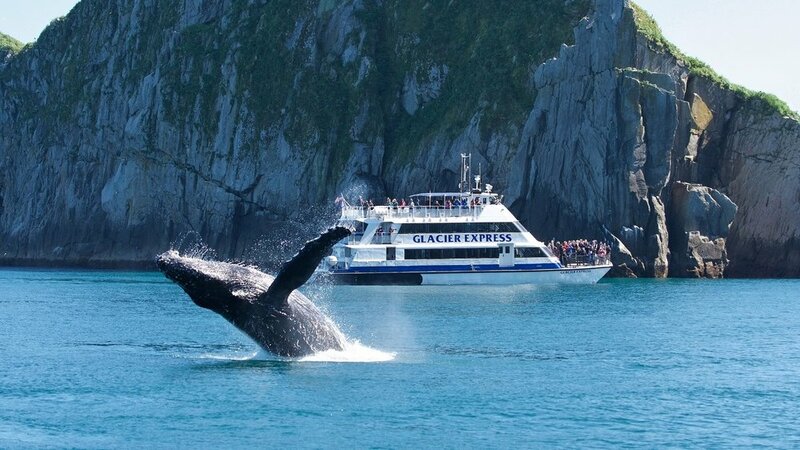 Jump on this opportunity for an up close and personal experience with the Kenai Fjords National Park. This trip starts in our office in Seward Alaska at 8am, and often we have an afternoon trip that meets at 2pm. From there, we load up on our jet boat and start our 30-45 minute journey out to the glacier. Along the way, there's plenty of opportunities to see wildife, and we'll keep our eyes open! The features in the lagoon change daily, and our guides' job is to expertly navigate your group safely though the maze of ice created by the calving glacier. The features in the lagoon change daily and your guide will choose the best route to navigate through the maze of ice. Wildlife also varies day to day with good chances to view harbor seals and black bears. This tour lasts a little over 5 hours and departs daily.